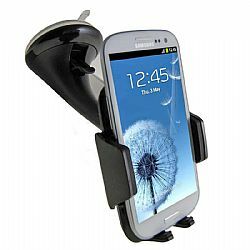 The Universal Vehicle Navigation Mount is compatible with any smartphone with screen sizes between 4.0 and 5.3 inches. 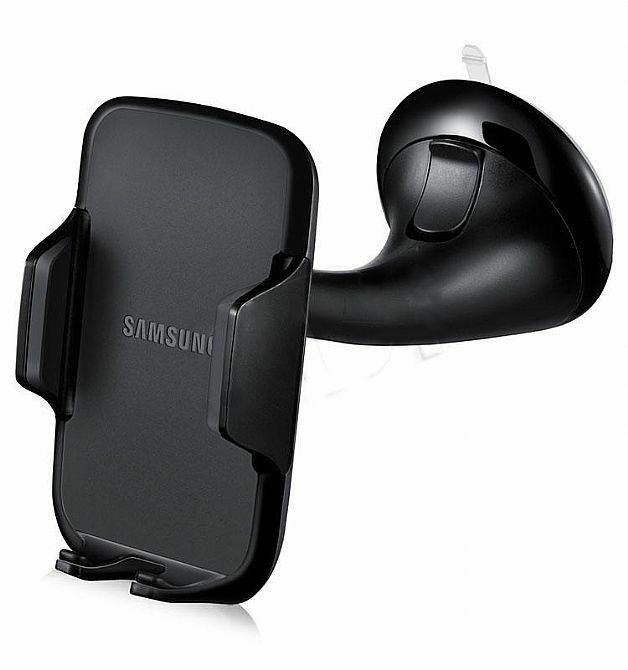 I currently use this mount on the dash board of my car with my garmin dash mount (The mounting ball seems to be the same size garmin to samsung). 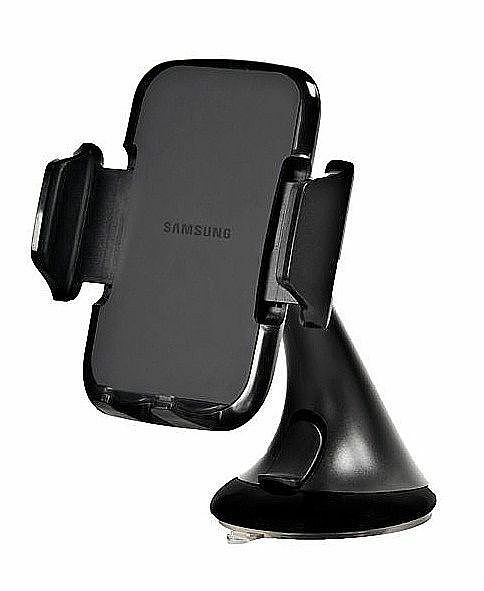 It does have a very quick and easy release button on the back but won't drop/eject the phone like other mounts that I've seen. Awesome device, fits and is durable. Only wish they would've put a power input so you don't have to keep plugging power into phone before you place in cradle.